Snowflake turned 10 last month. 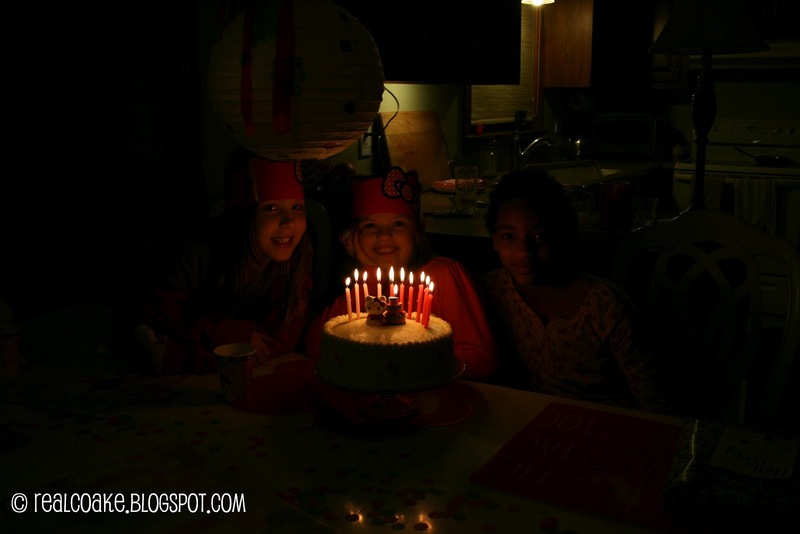 She wanted to have her first slumber party for her 10th birthday. We set up a fun evening for her and a few of her friends. I kept the number of girls small so that our first sleepover party would be a success for everyone. When the girls first arrived, they had some time to play together. After a while they each got to make their own pizza. I had out a topping bar with different toppings I thought the kids might enjoy. We had out pepperoni, black olives and macaroni and cheese. 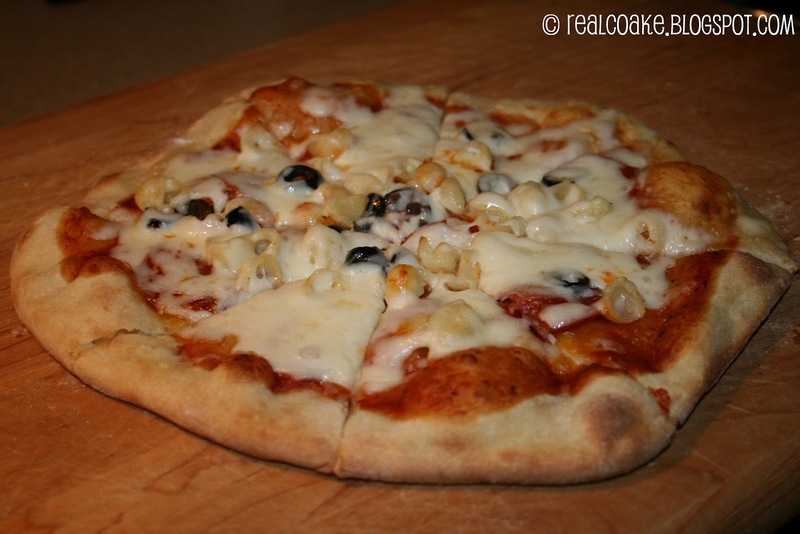 A pizza place near us makes a macaroni and cheese pizza that both my girls really like. 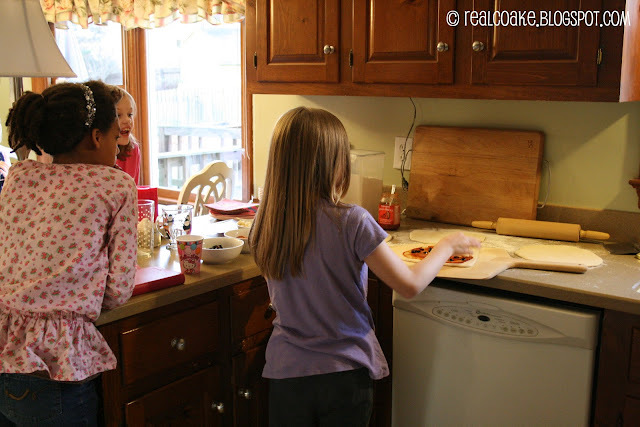 We make it sometimes when we make pizza at home. We put it out and all the girls liked it. 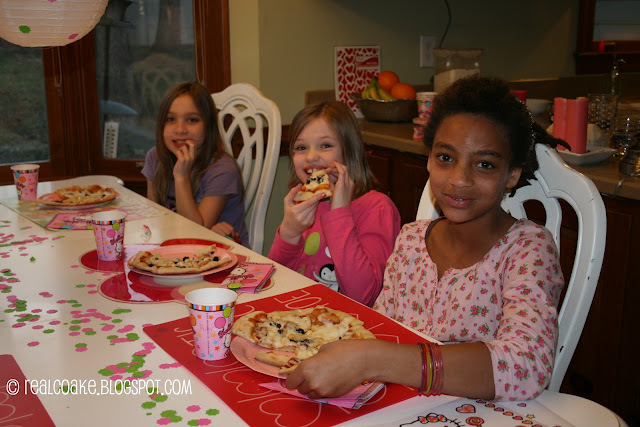 Yummy pizza creation with black olives, pepperoni and macaroni and cheese! Looks like they are enjoying dinner! 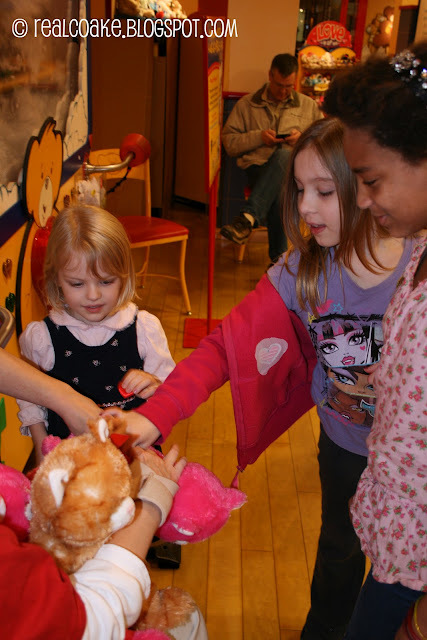 A visit to Build-A-Bear is a must for Snowflake's party. It is still one of her favorite places. So, after dinner, we headed over to Build-A-Bear for some fun! Following our trip to Build-A-Bear we came home where we ate cake. Of course, there were presents to open. 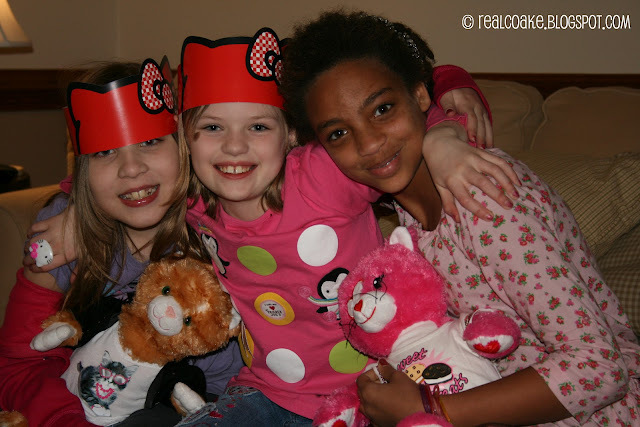 As you can see from the picture below, Build-A-Bear gave the girls Hello Kitty hats since they have a relatively new Red Hello Kitty they were promoting. (Since they know Snowflake by name, they were happy to give them to the girls even though we didn't buy a Hello Kitty this time…we will be back soon for that Red Hello Kitty.) It sure added to the Hello Kitty theme. The girls also found time to play wii, talk, be silly, watch a movie, talk some more, be silly some more and finally more talking. They did what most girls do at a slumber party…. they stayed up way too late and got up way too early and had a fantastic time! 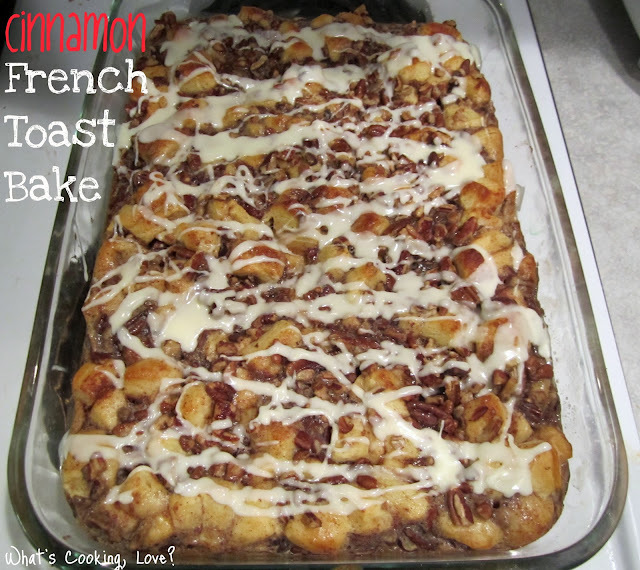 In the morning, Mr. T and I made this yummy breakfast I found on pinterest! Ohh La La! You can follow the link below the picture to see how to make it yourself. Cinnamon French Toast Bake from the What's Cooking, Love blog. Another time, I will show you more of the cake, tell you about the favor bags as well as show you how those pillowcases I made got used! Stay tuned. I'd say we had a successful 10th Birthday slumber party!